Hopefully you’ve had some time to look over last week’s tips on finding an educational philosophy to fit you as a parent and as a teacher. Now that you have a general idea of what kind of homeschool you *ideally* want to have, it’s time to factor in those kiddos of yours. There is no perfect Homeschool. 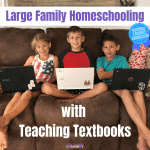 YOUR Homeschool will not look like the one in the book, or on the blog, or at the Homeschool next door. Even if you plan to be a Charlotte Mason Homeschooler, and you plan these beautiful lessons, and make a schedule, and gather materials, you can count on your child putting their own spin on things. These kids are always moving. Their toes tap, their fingers fidget, and they are always bouncing around. Kids who are Kinesthetic Learners do well with physical movement while trying to learn- for example, they can memorize songs with hand gestures and practice math facts while clapping. While planning curriculum for these kiddos, look for programs that use movement to teach, and plan your day with many frequent breaks to allow for wiggle time. Avoid programs that require a lot of time in a seat, like workbooks. Auditory learners pick things up simply because they heard them. They listen well, and seem to remember almost everything you say to them. They tend to remember songs their heard on the radio, and quote movies. They love to be read to! You may not realize you have an auditory learner until they crack your verbal spelling code and you have to start speaking pig-latin instead of spelling out your secrets with your Hubby (ask me how I know!). These kids do great with listening to audio book, and having lesson instructions read to them. Language Arts programs using narration, dictation and recitation work really well with kids like this. Curriculum that relies on discussion and verbal communication are a fantastic fit for these students. Kids who are visual learners have an easy time remember things that they see. They like books with lots of diagrams and images. They do really well with graphic organizers, and other visual outlining. Kids who are visual learners tend to do well working independently with workbooks and textbooks (any books!) because they can comprehend and understand what they see in front of them. There are many programs that are great for visual learners- they are probably the most common materials available. These kids learn best by doing. They need to build the model, not look at one in the book. These kids can be shown and told information all day long, but often won’t have a “light bulb” moment until they can get their hands dirty and try it themselves. They do well with hands on programs, curriculum with lots of experimentation, and having the freedom to “try it themselves” and learn from experience. 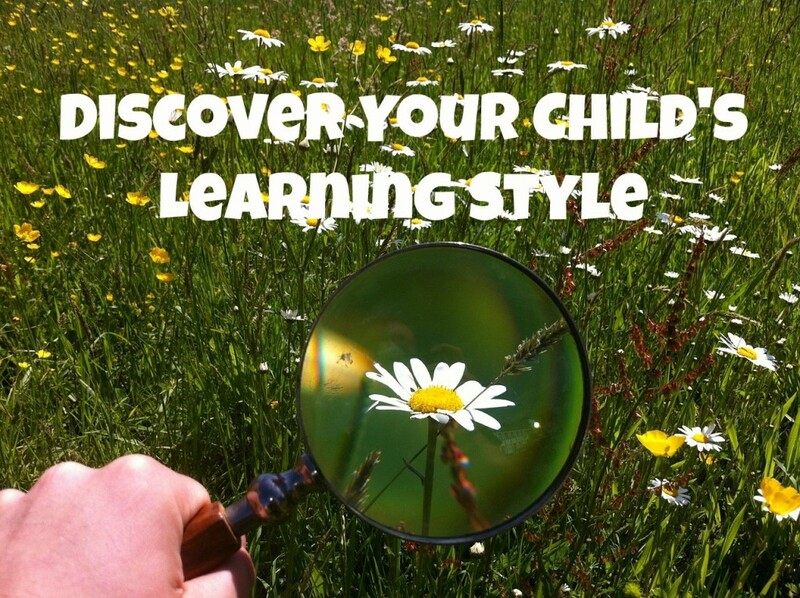 Not sure about your child’s Learning Style? The Big What Now Book of Learning Styles explains learning styles and has ideas for multi-sensory teaching acorss the curriculm. So why does Learning Style Matter? Imagine you’re sitting at the table with your child, and you are trying to teach him his times tables. This particular child is squirming in his seat and his little feet are kicking. If you put a times table chart in front of him and try to teach them to him using diagrams, it may work…. But it’s going to take some time, and it won’t be as easy as it could be. 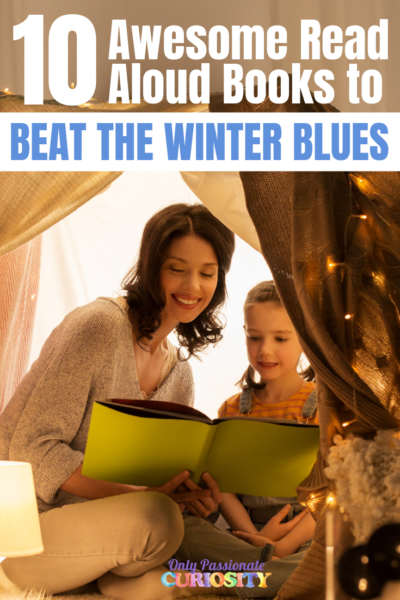 Now, if you find a math program for that toe-tapping child that teaching math facts through movement- hand clapping chants, feet stomping skip counting, and by using manipulatives, now you may be on to something that will save you time and heart ache! Conversely, a visual child wouldn’t want to have to stand up and clap her hands with math facts- she may do well with the picture story method from Times Tales. Finding the right program for your child is the difference between long, tear filled days, and days where learning doesn’t feel like work. Your child may fall into more than one of these categories, which will make your life even easier. The good news is that many curriculums are “multi-sensory” which means they will work with any of these kids. Even if you have a Kinesthetic Learner, it’s often a good idea to appeal to more than just one of their senses, and teach the material in a visual, auditory and kinesthetic manner to really make sure the material sticks! How independent is your child? 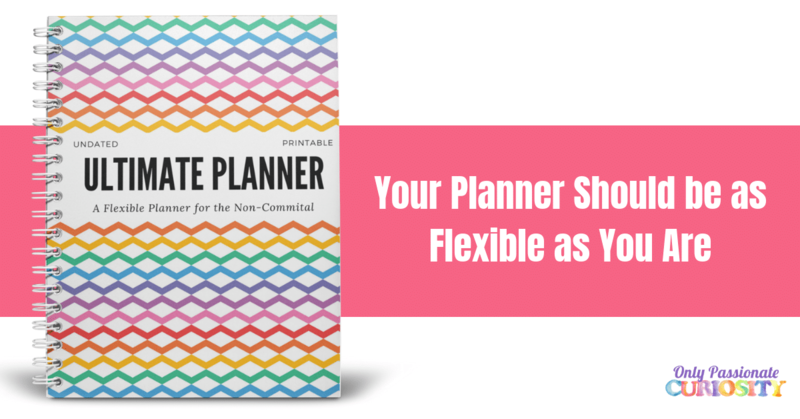 Can they work independently, or are you going to need to be there with them every step of the way? Some programs are set up to be “self-led” for kids who are good at exploring topics on their own and are able to follow instructions well. Other programs are meant to be more “parent intensive” and either require the teacher to lead each lesson, or provide an easy to use script to help you as a parent present the material. These programs are great for kiddos who like to be led, or are very young. What about kids with learning difficulties? Kids with ADD, ADHD, SPD, Dyslexia or other learning hurdles may need extra hand holding and help. Many states allow kids to use public school services such as occupational and speech therapy. Kids with learning difficulties can be hugely successful with homeschooling because they do have the added benefit of having a teacher who is both personally invested in their education, and has the time to give them the one on one attention they need. 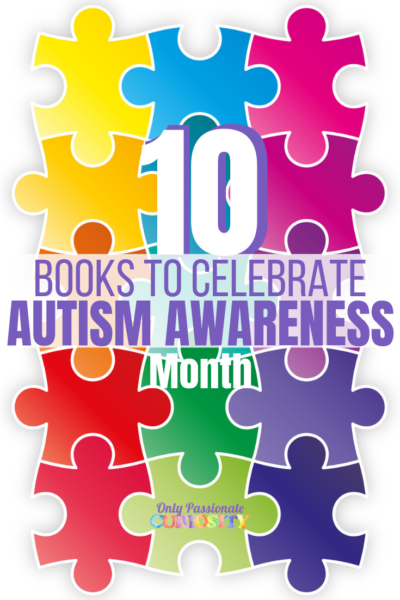 I personally am working with a child I call my “wild child” who is undiagnosed, but has speech difficulties, and I suspect other issues. I enjoy knowing that I can provide him all the help and resources he needs without him being labeled as “difficult” by teachers who don’t personally know how wonderful and capable he is. My friend Selena at Look We’re Learning is currently doing a series on Homeschooling Kids with ADHD, and will be posting helpful articles every Monday. If you have a kiddo like mine and Selina’s, I strongly recommend heading on over to Look We’re Learning to follow her series! That’s it for Your Student and What Makes Them Tick! Next week, I’ll be sharing ideas on choosing curriculum. I have broken down some of the most popular programs, as well as my top picks by educational philosophy and learning style to help you find something that will fit both your teaching style and your child’s learning style. 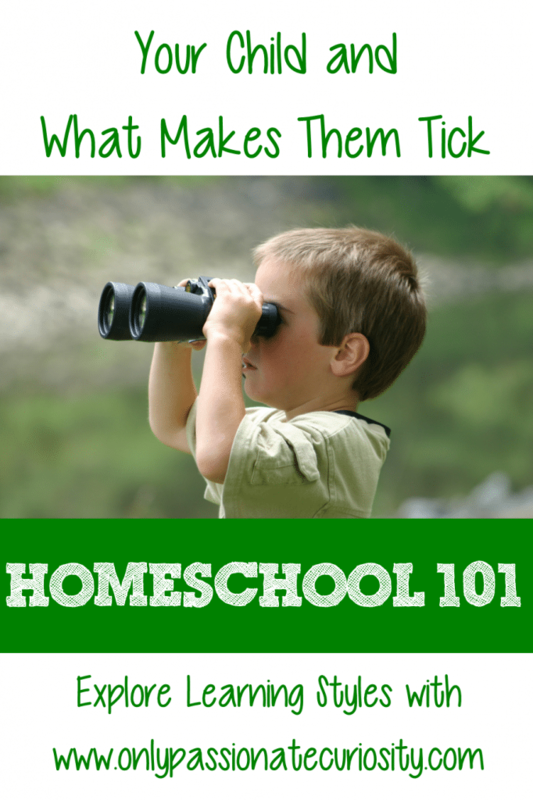 This post is the third in a six week series on How to Homeschool. Homeschooling 101: I Could NEVER Homeschool Because…. I have a Wiggly Willy for sure (Cathy Duffy’s term for kinesthetic learners). Sometimes he does his math problems while standing on a rocking chair in front of the black board, but it’s what helps him learn. He couldn’t do that if I put him on the yellow bus in the morning. I have an auditory/tactile learner. He does best if I give him something to do with his hands while I’m giving him instruction or reading. He easily memorizes things he hears and LOVES field trips that include presentations/speeches. I have taken that information and it’s made our learning experience so much easier!